Hall of Fame pitcher Jim Palmer saluted 10 year-old Lindsey Duquette and others suffering from the kidney disease FSGS and Nephrotic Syndrome while receiving The NephCure Foundation 2012 Public Service Award Sunday, June 24 at Countdown To A Cure – Baltimore at the Kettle Hill Restaurant. The charity affair, attended by over 100 people, was the culmination of a series of events encompassing “NephCure Day” in the City of Baltimore, helping raise over $30,000 for The NephCure Foundation, which fights the kidney disease FSGS and Nephrotic Syndrome by funding research and providing education to families dealing with these diseases. The dinner was co-chaired by former Orioles general manager Jim Duquette, whose daughter, Lindsey, has been suffering from the kidney disease FSGS since she was two, and Warren Sollod. Jim Duquette donated his kidney to Lindsey on June 4. Lindsey had been living without kidney function for the last year while awaiting the procedure. Jim expressed his appreciation to all the players for appearing at the event. Lindsey couldn’t make it because she has to stay out of public places for at least three months while she recovers. Can Brian Matusz Ever Regain What Made Him So Special at the End of 2010? ﻿Right now, despite the Orioles doing relatively well so far this season, it is been apparent that there’s been an issue with the starting pitching outside of Jason Hammel and Wei-Yin Chen. On Tuesday night, southpaw Brian Matusz struggled on the mound again in a loss to the Los Angeles Angels of Anaheim. He gave up five runs in five innings, plus gave up a career-high thirteen hits. Matusz’s season has been filled with some ups and downs; however, we as fans have to start wondering if the bright young pitcher we saw at the end of an remarkable 2010 campaign will ever show up again? At the end of that 2010 season, he was nothing short of phenomenal, winning seven games in the final two months and pitching to 2.18 ERA in the last two months. Well, we all know what happened to Matusz in 2011 and the results of his incredibly disastrous season – one of the worst ever for a starting pitcher in baseball history. As the calendar turned to 2012, things looked better for Matusz. He made the team out of Spring Training and looked terrific at stretches during the first seventy-or-so-games of this season. Sadly, he has once again been terribly inconsistent on the mound and has lost four straight games. According to the Baltimore Sun, the southpaw in those four games has an ERA of 8.31, allowed 16 runs on 33 hits in a bit over 17 innings. Then again, Matusz had an incredible start against the Tampa Bay Rays on June 3rd. He only gave up a run in seven-plus innings pitched in that outing. If you have not heard, third-baseman Miguel Tejada was released from the Baltimore Orioles organization. That being said, his tenure with the Orioles - and perhaps also in major league baseball - is over. From the Orioles.com: The Orioles granted infielder Miguel Tejada's request to be released Monday. Tejada, signed to a Minor League deal on May 8, hit .259 with a .621 OPS in 36 games for Triple-A Norfolk. He went 1-for-4 with a double Monday before the Orioles released him at his request. Tejada played mostly third base with Norfolk and did not hit a home run in his time there. The 38-year-old former American League MVP was coming off a 2011 season in which he hit .239 with a .596 OPS in 96 games for the Giants, who released him early last September. Tejada was a productive player for the Orioles; however, his tenure with the team as he was traded to the Houston Astros during the offseason in 2008. Of course, Miguel's career hit a bumpy road after it was divulged that he was two years older than reported, and then got ensnared with drug use, the legal system, plus having his name sullied. It was a highly successful weekend for the Orioles as they took two of three games from the Washington Nationals. They may not have had much offense over the past three games; however, when hitters have needed to come through in the ‘clutch’ – they have delivered. On Sunday, the Orioles powered themselves to victory as Matt Wieters’ homer in the eighth inning pushed over Washington, 2-1. The Orioles are 41-31 and trail the Yankees by 2.5 games in the American League East. Ross Detwiler for Washington – who started on the mound – owned the Nationals for much of the game; however, reliever Sean Burnett got tagged by Wieters and took the loss. Burnett took the loss; meanwhile, Pedro Strip got the win in relief for the Orioles, and Jim Johnson got the save – his 22nd of the year. The Nationals may not have done much scoring over the weekend, but their starting pitching is first-rate and it is little shock how they have managed to build a comfortable lead in their division. Barring injury, the Nationals will be extremely dangerous down the stretch. They just need their hitters to start producing. As for the Orioles, the pitching has been shaky outside of Jason Hammel and Wei-Yin Chen; however, Jake Arrieta – who has had times of trouble during the season so far – stepped up enormous for the Orioles. He allowed just one run in six innings. Before Saturday's game the Orioles GM Dan Duquette joined manager Buck Showalter for a Q+A session with season ticket plan holders. The session started 15 minutes before five under a simply gorgeous summer sky here in Baltimore. Jim Hunter, as usual, emceed the event wich took place on top of the thirdbase dugout. Duquette took his seat, and Buck strode across the grass behind the batting cage the crowd, three sections strong, greeted him with a chorus of cheers and applause. The session was delayed for a couple minutes as about a dozen fans mobbed Buck for autographs - he obliged as much as he could. Dan Duquette opened with a wry smile and an almost sardonic response to the opening question from Hunter. Hunter asked the GM to characterize the season so far, 70 games in; Duquette responded with a crooked smile: "I think we are doing good." Showalter continued the sentiment with a more realistic, "To be continued," Showalter went on, "I woke up this morning and there was a team ahead of us in the division, so we have to take care of business." 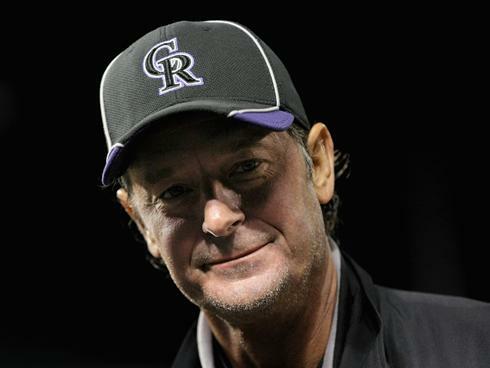 "The players love the support...and they can hear it in the dugout and talk about it..." he continued, "I am very proud of the city of Baltimore"
From this point the fans were allowed to ask questions. These events are more nice gesture and PR than real baseball discussion. Jim Hunter reminded fans midway through that Duquette and Showalter were forbidden from talking about other teams' players or potential deals for said players due to tampering rules. On Lew Ford, this was the first question. Duq - "Buck an I were talking about him yesterday," He loved his power and OBP. "You may see him up here," he said. On the same issue Buck countered that he "likes the players that he has up here" and reminded everyone that for every player to come up, someone has to go down. On moves as the trade deadline nears. Duquette feels that they have "a lot of answers within the organization," but he of course wants to add talent and make the team better if the right moves come along. The GM alluded to the team's pitching depth between AAA and the majors after a Hunter followup question. If one wants to read between the lines here Duquette is obviously fielding calls and it seems that some of that young pitching will be on the block. It has not been a very good week for the Baltimore Orioles up in the Big Apple. They did not get beat by the rival Yankees; however, the surprising New York Mets swept the Birds over a three-game set. Baltimore’s offense got stifled by the phenomenal knuckleballer R.A. Dickey and the veteran Johan Santana in the first two games; however, they made it close in the final contest. As much as the offense struggled, I’m not too worried about that and ready to push ‘red alert’ button on that front. Sadly, we as fans should definitely still be worried about the starting pitching for the Orioles. Obviously, Wei-Yin Chen and Jason Hammel have been the bedrock of the starting rotation; however, the youngsters of the rotation – Brian Matusz, Jake Arrieta and Tommy Hunter – have shown some flashes of brilliance throughout the season, but have battled through inconsistency. In the end, all three have shown some highly mixed results on the mound. The Orioles are 39-30, in second place in the American League East, and have a very legitimate shot to finish over .500 for the first time in more than a decade. Furthermore, they have a chance for one of the playoff spots in the division and have fans talking about baseball this summer rather than moving their collective attention to the Baltimore Ravens and the other teams in the NFL. They have made waves this week – at least in the media – concerning some potential moves to be made on the pitching front. Of course, the Orioles are linked to the Chicago Cubs – their annual trade partners in the past – with pitchers Ryan Dempster and Matt Garza. A lot needs to happen for a deal to happen, but we fans should be exited that the Orioles are looking to be buyers – instead of sellers. I am not a conspiracy theorist. There are no secret organizations controlling the world, Oswald killed Kennedy, 9/11 was NOT an inside job and the Freemasons are little more than a group of middle-aged guys drinking beer in a fancy basement. The world is random, and humans don't handle random well. We don't its a fact. In his book Freakonomics economist Stephen Levitt talks about the Kansas City Royals. the Royals were in the middle of a 19-game losing streak and he decided to explain how, mathematically, these things happen because of the random nature of sports. His experiment - Try to imagine 100 coin flips, you might try to make it as random as possible, but you can't make it truly random because our brains are trained to look for patterns in the world. If you do it in real life you will most likely find long strings of heads, or tails, longer than you would think. Do that 100 times and you will see that every so often there are very long strings. Levitt used this to explain that long strings of losses like the ones the Royals went through in 2002 happens about once a decade through the sheer math of it. The Orioles have had 14 straight losing seasons. Math would seem to dictate that they would eventually have broken that soon enough. Something would go right, the freaky nature of baseball would eventually break for them. It hasn't happened. In 2005 everyone thought that it had finally come. Even after the playoff hopes went away the team was at .500 in August at least we would have broken that streak. Of course, it didn't work out like that. Bad offense, pitching and a host of injuries and off-the-field issues sabotaged the Orioles in 2005. The collapse was so epic that the Orioles are still feeling the after-effects. Now we are in the middle of a 2012 season that has exceeded all expectations and the collective brain of Orioles fans is trying to find reason behind it, and because brains look for patterns a lot of people are trying to find why the inevitable collapse will come - I'm here to tell you why it won't.Let's go through all the reasons for the on-coming apocalypse and refute them one by one. Reason 1 - The Orioles are winning a bunch of one-run games and extra-inning games. The Orioles will revert to the mean. Yes the Orioles are 11-5 in one-run games and 9-2 in extra-inning games. These are facts that many people point to as evidence of the on-coming apocalypse. They say that the Orioles will "revert to the mean" but I don't think they know what that means. Referring back to the coinflip experiment; an average team has roughly a 50/50 chance of winning these close games and so far the Orioles have beaten that perceived average - so even if the Orioles did "revert to the mean" that means the Orioles would go roughly .500 in these games for the rest of the year. Reverting to the mean does not mean that the Orioles will suddenly start losing a bunch of these games and return their overall record to .500. The fact that the Orioles have won a bunch of these games already has no bearing on how well they will do in these situations in the future. Essentially they are playing with house money. Moreover, the Orioles are still over .500 in regular old nine-inning games and it is how they will do in those games that has a far greater bearing on the immediate future on this team.Bottom line is this shouldn't be a real worry going forward. The fact that the Orioles are playing in so many close games is a very good thing that shows how competitive this team has been with one of the harder schedules in baseball. 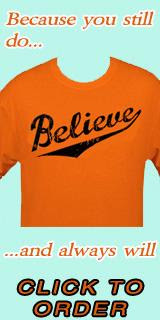 Can the Orioles Sustain Their Run of Success in 2012? It has been an extraordinarily good week for the Baltimore Orioles as they have shined in interleague play, taking two out of three games from the Philadelphia Phillies and taking the first two in their series against the Pittsburgh Pirates. The Orioles had struggled until the middle last week during a brutal stretch, but found a way to turn it on against Boston. As of now, they are 36-26 and trail the New York Yankees by a game in the American League East standings. The Orioles are off to their best start in many years, and at this point, fans are still optimistic; however, they are not making plans for October – yet. Baltimore’s impressive run this season ponders a question: can this all be sustained? Honestly, I have no idea. In a season where there have been many surprises and disappointments through mid-June, I believe anything can happen right now. Think of it, they just have to play .500 ball from here on out and finish 86-76. Is that enough to win the division? However, it is a whole lot better than what we fans have had to endure for the last decade-plus. A lot of people at the start of the season figured the Orioles would be a mediocre to horrible team; however, they have shocked the establishment. Thanks to the long ball, timely clutch hitting, an excellent bullpen, plus an improved starting rotation, Baltimore could see its first winning season since 1997 and an outside chance at a playoff spot. The Orioles are far and away a lot better than they were last year; however, much like every team in the playoff hunt, their success will be determined based on their pitching, mitigating injuries and consistency. With Brian Roberts coming back tonight, infielder Steve Tolleson was optioned to Triple-A Norfolk. We will be watching to see what Roberts does in his return; however, Tolleson did a decent job while up with the Orioles and had a few big hits. Tolleson was a victim of the numbers game, and since Ryan Flaherty is a Rule 5 guy, he can't be sent down. I would imagine Tolleson will be back if an injury pops-up, or if there's a need for a reserve guy. The Orioles today announced that they have reinstated 2B BRIAN ROBERTS from the 60-day disabled list. To make room for Roberts on the roster, the club has optioned INF STEVE TOLLESON to Triple-A Norfolk and transferred OF NOLAN REIMOLD to the 60-day disabled list. Last night, the Orioles won their third straight game in a row as they defeated the Pittsburgh Pirates in interleague action, by a score of 8-6. Wei-Yin Chen (6-2) won another game – he went 6 1/3 innings, gave up four runs, Adam Jones had four hits, along with his 18th homer of the year; in addition, Mark Reynolds and Chris Davis went deep. Jim Johnson got his 19th save of the season. The surprising Pirates at 32-29, have been playing well; however, they were little match for the Orioles. Then again, the biggest news on the night was not the Orioles (35-26) win, nor they still being a game out of first in the division. I would ordinarily write rambling entry about the game itself. The biggest revelation from last night was the return of second baseman Brian Roberts. And what an impact he made. No matter what you feel about him, or his attempt to comeback, this much was certain: the man missed the game, his teammates and the ability to make a livelihood. He is one of the faces of the franchise, the community and has done a lot of the local sick kids at the various hospitals. The media seemed to be very happy in seeing him back, and so do the fans. Well, the Baltimore Orioles lost yesterday to the Philadelphia Phillies, 9-6, at Camden Yards on Friday night. The record will show that the Orioles chipped away at the Phillies lead – as they came back from a six-run deficit; however, in reality the game was over for them before it began. The offense did their part, but the starting pitching was a whole another story. Jake Arrieta, who had talked about setting the tone for the Orioles pitching staff on Opening Week, suffered on the mound again. He gave up nine runs on eleven hits in four innings of work, and my ticket partner plus several other fans in our section were wondering if we had seen the last of Arrieta in Baltimore for a while. The right-hander gave up six runs in the second inning, and that spelled certain doom for the Orioles. The news became official this morning. Arrieta is going down to the minors; therefore, after seeing what happened in Baltimore last night, there is little reason why. It was just ugly on Friday for the first one-third of the game. Arrieta looked like he was serving up batting practice to the Phillies, giving up hit after hit and not locating his pitches at all. Granted, the defense – especially Endy Chavez in left – did not help him much, but the bottom line is this: Arrieta sucked. Dana Eveland, Kevin Gregg and Luis Ayala picked up where Arrieta left off. Unlike Arrieta, they were effective and kept the Orioles in the game. However, for Baltimore, the hole was way too deep to dig out of. Orioles Defeat Red Sox Again... Have The Tables Turned? On Wednesday night, the Orioles won their second straight game in Boston, 2-1, as Wei-Yin Chen bested the Red Sox’s Josh Beckett. They are 32-24 and lead the division by ½ a game over the New York Yankees. The Orioles, as well know have struggled over the past few weeks; however, maybe the Boston Red Sox are the elixir for Baltimore’s issues. They have won seven straight against the Red Sox at Fenway Park, no easy feat at all. Perhaps things are different this year for the Orioles, as they now seemingly own the Red Sox – at least when it comes to playing at Fenway Park. Have the tables turned for the Orioles against the Red Sox? Could you have imagined that thought a few years ago? Baltimore scored twice in the sixth inning, and that was enough to bolster Chen to his fifth win of the season. Chen went gave up a run in seven innings and allowed seven hits to the Red Sox; however, he managed to get himself out of trouble a few times to keep his team in the game. Darnell McDonald plated Boston’s only run of the game in the third inning with an RBI-double. Beckett pitched well for the Red Sox, but took the loss, giving up two runs in eight innings. I honestly have not followed the draft as closely this year than in the past. I've been on travel the last few days, so I really have not kept abreast of things. However, the Orioles did go ahead and get another pitcher in this year's MLB First Year Player Draft. This looks like a very solid pick in a draft that many have said does not have a transcendent player. The draft will go over three days. Rounds 2-15 will take place on Wednesday; meanwhile, rounds 16-40 happen on Thursday. The Orioles have been struggling. Yes, this is true. AS I write this Jim Johnson has blown his first save of the year on a two-out two-run homer from Jarrod Saltalamachia on a semi-controversial call. Salty's long fly ball was heading for the top of the monster and it hit off the very top of the wall, above the homerun "line" giving the Red Sox the tie and sending the game to extra innings. The controversy arose with a fan leaning out over the wall with his hat. The ball appears to hit his wrist and then bounce off the top of the wall. The umpires reviewed the hit, and gave the Sox the homer and the runs. I believe that the fan interfered with the ball, altering its trajectory and essentially bringing the ball on top of the wall. The umps obviously felt that the contact was inconsequential and the runs stood. So the Orioles are playing in extras against the Sox once again. yes, the Orioles have been struggling as of late, but I am still not too worried. Every team in baseball will hit a rough patch during the season and this team has shown that is has the talent and resolve to win games. As I type that Ronny "Battle-axe" Paulino just gave the Orioles the lead right back with an RBI single in the top of the tenth inning. This Orioles team is for real, I have stated this before and will continue to believe that until this team tanks in an utterly historic way. This was a team that was not picked to win more than 69 wins and they are already nearly halfway there. Will the Orioles be in the hunt for October? Who knows? I am not fool-hearty enough to make those kind of sweeping proclamations on June fifth. But this team is already so much better than anyone possibly expected them to be.As I type this: Endy Chavez just hit an RBI single to give the Orioles a two-run lead in the top of the tenth. It has been a struggle for the Baltimore Orioles the past two weeks, and on Sunday they lost again to the Tampa Bay Rays, 8-4. They have fallen out of first place - again - and are a game behind the Rays at 30-24. Sadly, the Orioles have lost nine out of twelve series and have dropped four consecutive series. Jake Arrieta – who started on the mound Sunday for Baltimore – has had an up-and-down year, and he struggled once again with inconsistency. Tampa tagged Baltimore for eight runs total in the fourth, fifth and sixth innings, and they roughed up Arrieta, plus the bullpen – mainly long reliever Dana Eveland and Luis Ayala - pretty good at the point. The crazy thing is that Arrieta was dealing on the mound for the first three frames and then just totally lost it. He only lasted 4 2/3 innings, gave up four runs – all earned, walked four and gave up two hits. Eveland and Ayala gave up four runs in a span of an inning plus. The Orioles were down 8-1 after six innings, and at that point, the game was out of hand. Baltimore’s offense again was sputtering at points; however, both Matt Wieters and Mark Reynolds hit solo home runs in the game Sunday. Then again, despite the power from two guys who had been struggling, they left eleven men on base and were 3-for-12 with runners in scoring position. Not good. The week-long nightmare ended for the Baltimore Orioles on Saturday as they defeated the Tampa Bay Rays by a score of 2-1, thanks mainly to the arm of Brian Matusz. They snapped a painful a painful six-game skid and are once again tied with the Rays for first place in the American League East. We all as fans can finally take a chance to sit back and relax – well, at least until Sunday afternoon. Brian Matusz earned his fifth win of the season as he gave up only one run on two hits on Saturday. He went 7 1/3 innings and looked much improved his last start; furthermore, Matusz stepped up huge, serving a stopper for a Baltimore team that had been struggling, as they had lost eight out their last ten games. More importantly, the Orioles – at least on Saturday – looked like the team we all had seen for the first two months of the 2012 season. The Orioles needed Matusz to step up, and he came through big time. The left-hander help to lift the Birds, and they just got enough offense to emerge victorious. He looked intense, focused and cerebral of the mound, pitching a masterful game against the Rays. When things have seemed particularly bad with the Birds this week, it has only gotten worse. I could not believe what I saw last night with the Orioles as they lost to the Tampa Bay Rays, 5-0, in a series matchup that is pretty much now a must-win. They are now out of first place, and the Rays are a game up on them in the divisional hunt. It is now six straight losses and counting for the Orioles. Wei-Yin Chen suffered on Friday, giving up five runs – all earned – all in the opening inning and took the loss. Overall, he walked four and gave up five hits in a extremely uneven performance. Aside from Chen’s rough frame, what was even more frustrating watching the Orioles was their lack of an offensive attack. Granted, they were facing Tampa southpaw David Price – who is one of the best pitchers in the business – who threw eight shutout innings and pretty much had his way with the Orioles; however, the approach at the plate by the Birds left nothing to be desired. Baltimore mustered seven hits on the night, and Adam Jones along with Matt Wieters had two of them. The Orioles are 29-23 on the season. They have lost nine out of eleven, and at the point, we as fans have to be thinking – is this delightful run over for Baltimore? Now, it is a long season; however, this team is better than they have performed. Let’s hope the last two weeks does not define the Orioles. Sadly, they picked the wrong time to start tanking. The pitching – mainly, on the starting end – and offense have been awful. If you are looking for a new car out there this summer and want something stylish, flashy, but yet also fuel efficient, check out the Scion FR-S! These days with gas prices at record highs and the economy suffering, Scion pulled out all the stops to build a car that is contemporary, but also harks back to Toyota’s sporty, racing heritage. The FR-S is an old-school, authentic rear-wheel drive sports coupe with a modern design and handles amazingly, plus will turn heads everywhere. Whether you are a city dweller or like to get out on the open road, you have got to be excited by this new Scion! The FR-S will be available this June, so when you get a chance, stop by your local Scion dealer and take a test drive! I’m not sure if you all caught the game on MASN on Wednesday night, but the cameras panned to Nick Markakis – who was standing on the railing of the dugout – and he had some bandages wrapped around his wrist. That image didn’t look good and you knew immediately that he was going to miss some time. Wrist injuries are often tricky; therefore, the Orioles have placed Nick Markakis on the disabled list. 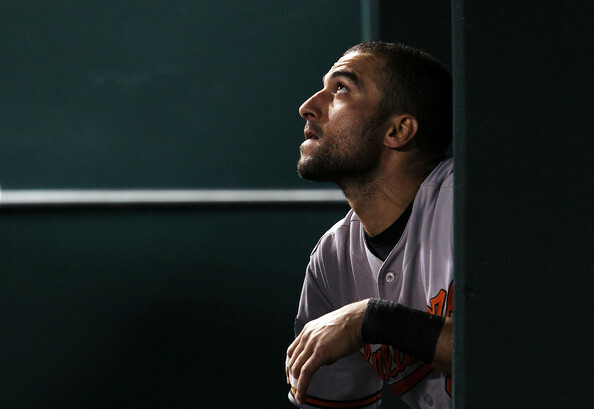 According to the Baltimore Sun’s Eduardo A. Encina, the right-fielder is schedule to have surgery on his wrist. He has a broken bone. Considering that Nick Markakis is one of their bigger bats in the lineup and has stayed relatively healthy throughout his career, it’s big a letdown. Furthermore, with the Orioles struggling – having lost five straight games and three series in a row – on the offensive front, Markakis’ injury came at the worst time possible.